First time in ages, it seems like "give it to DDG" isn't the obvious answer. It just shows how far our new (interim) manager Solksjaer has brought us so far. This season, I'd like to think it's Pogba, our midfield general. He's the sun, controlling 10 others around him. But Rashford and Martial are guaranteed you goals with their mad skills, finishing and work rate. Or Herrera, the mad dog; Lindelof, our new Baresi. And of course, DDG the GOAT, which is the difference between us and Spurs in our last match. Or maybe Fred will emerge as the dark horse. Since it's obviously Pogba, what about second? Between Rashford, Lindelof and Herrera for me. He was actually our best player under Mourinho as well despite being dropped at the very end. Question is will he make the PFA Team of the Year or has our resurgence come too late for that? I think he will. There aren't that many midfielders that deserve it more. Martial over Herrera or Lindelof. We would've been even further down in the shitter under Mourinho if it wasn't for Martial's run of 7 goals in 9 games. When do they vote for PFA Team of the Year? I think it depends on the formation also. In 4-4-2, it will be harder for Pogba to grab one of that 2-CM. In 4-2-3-1, he must be one of the 3 AM. If he keeps delivering the same numbers for the remaining twelve games, however unlikely that is, he'll be hard to ignore. He probably won't, given the games we have in February, but any midfielder with double digits in both assists and goals should be in. In top 5 there are De Gea, Martial, Rashford and one of Herrera/Lindeloff. It'll be either Pogba or Rashford. My personal choice would be Lindelof. PP in a landslide. He was the best in two periods under the toxic one. August, Sept with Shaw. And October, November with Martial. And the best in the league since Ole took over the reigns. Pogba or Rashford for our POTS. I also think Rashford is going to pick you PFA's Young POTY too. Overall POTY I'm unsure, while Salah is top scorer he isn't playing at last year level. Aubameyang has scored lots of goals but I'm unsure if that would be enough. No one has stood out at City either. Given how recent form plays into voting, Pogba stands a great chance if he can sustain his current form and produce in big matches coming up. Something like this. Jesse deserves some love! From the 4 plays not picked here, Young, Shaw, Jones, Matic. Probably shows what we need to work on in the summer. Maybe let Shaw have another season, Dalot potentially at right back? Definitely bring in a CB, and is Matic unsung or not good enough? Pogba should be in contention for the league-wide awards, let alone team ones. Give it to Sanchez, that will boost his price and hopefully someone will bite on that and take him away. As our best player this season? Or for some other reason ? Of course it's Pogba. Who else? Pogba is a cert if he keeps this form up. Nobody comes close and that's not an insult to the other players. 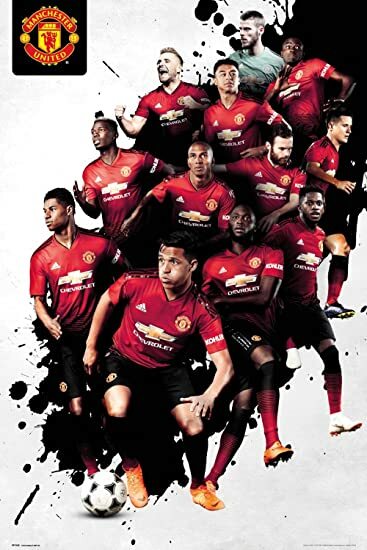 Pogba Rashford or Lindelof for me. Pogba. 25 combined goals and assists in 30 games speaks for itself. At this moment in time, it’s got to be Paul Pogba. Martial was balling even under the virus. Will probably be Pogba. He was saving Joses job almost singlehandedly for a good stretch of games. Rashford has caught up in the last month with a run of his own but Martial is still ahead this season overall.